It's another day, another patch for the Xbox One and the Xbox 360 versions of Mojang's much loved Minecraft. Whether you're enjoying the game yourself, your kids maybe enjoying the game, or you're just using the different variations to bump up the Gamerscore or possibly use the big ratios to help survive this year's Leap Frog or/and GTASC events, you can always count on Mojang to keep the game as glitch and issue free as possible. Added Glide Myths Track Pack; Drift through the clouds of Icarus, dive into conflict in Excalibur, and ride with the Kelpies in Celts. 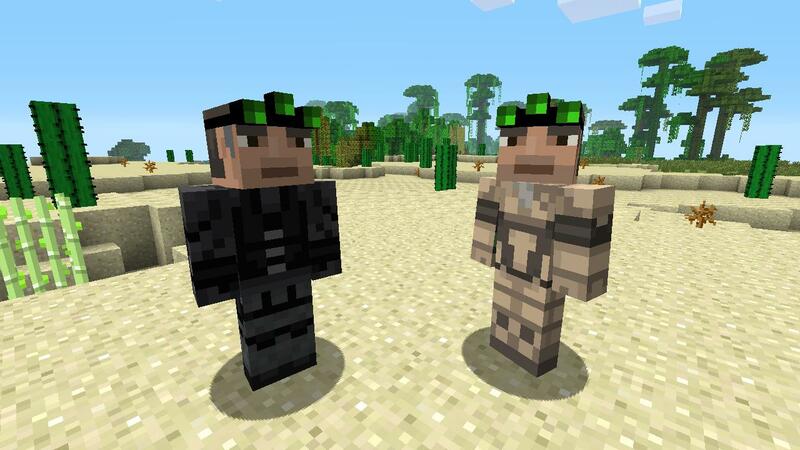 Added “Strangers – Biome Settlers 3” Skin Pack. Wither Skeletons no longer fear daylight, and will attack anything that lives. Skeleton Horses can now be tamed and leashed. Stone Slabs, Redstone Repeaters, and Redstone Comparators can now be crafted from Stone, Granite, Andesite, Diorite, and their Polished variants. Fix for MCCE-5523 – Pick Block in Creative. Fix for MCCE-5549 – Hotbar is not centered in splitscreen battle.. Fix for MCCE-2000 – Zombies get stuck in water. Fix for MCCE-2868 – Levitation effect all in Capitals. Fix for MCCE-5539 – Unable to earn Free Diver Achievement. The latest patch for the Xbox One and Xbox 360 versions of Minecraft are already live.